Kris Lees feels High Power’s wide draw may actually work in his favour in Saturday’s Sky Racing Spring Provincial Series Final at Kembla Grange. Lees has both High Power (Andrew Gibbons) and Chalmers (Koby Jennings) in the $150,000 1600m final of the inaugural series. He also has the sole emergency I Am Awesome waiting in the wings in case there is a withdrawal from the field of 15. High Power drew the outside barrier whereas Chalmers has an inside alley, but Lees this afternoon was leaning toward the former as his best chance. 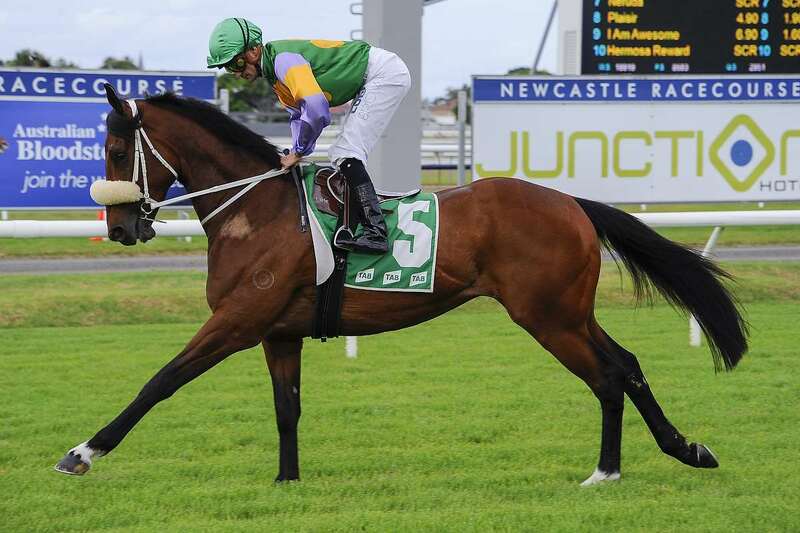 A ‘Heavy 9’ rating has been posted after Kembla received a 61mm drenching on Wednesday. “High Power’s wide draw might not be such a disadvantage after all,” Lees said. High Power, a High Chaparral four-year-old who has won four of his 10 starts (and been placed in three), followed an excellent first-up sixth under 60.5kg in a Benchmark 70 Handicap (1400m) at Royal Randwick on November 6 by winning the fourth heat of the series over 1500m at Newcastle 12 days later. Chalmers carried 1.5kg more that day and finished fourth – but was 3.6 lengths from his stablemate – and was also having his second run back. The pair now meet on the same terms, each carrying 57.5kg. Lees is unlikely to have a runner at Saturday’s corresponding Rosehill Gardens meeting, but will have three representatives at Canterbury Park tonight. They are Pierina ($4 on TAB fixed odds - 1250m Benchmark 70 Handicap), Waruna ($2.40 favourite - 1550m Benchmark 70 Handicap) and Only Wanna Sing ($6 - 1100m Benchmark 70 Handicap for colts, geldings and entires). Kerrin McEvoy rides Pierina, whilst James McDonald partners Waruna and Only Wanna Sing. The latter is also an acceptor for a Benchmark 78 Handicap (1100m) at Rosehill Gardens – where stablemate Envy Of All has already been withdrawn after racing at Warwick Farm on Wednesday – but Lees feels the Canterbury assignment is a “bit easier”. Waruna, an All Too Hard four-year-old, is building a splendid record. She has raced eight times for four wins and three placings – and finished fourth at her only unplaced start.